Lassi Thomson is the top-ranked Rocket in 14th spot while Nolan Foote and Kaedan Korczak are rank 26th and 31st, respectively, among North American skaters. Kyle Topping is ranked 195th and Alex Swetlikoff is listed 217th. Sniper Nolan Foote leads the Rockets in goals with a career-best 22. The 6’3, 188 pound forward has 42 points and 26 penalty minutes this season. 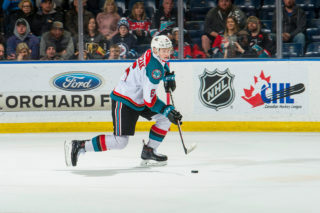 He suited up for Team WHL at the 2018 CIBC Canada Russia Series in October. Steady defender Kaedan Korczak has 19 points (3G, 16A) in 45 games played. He helped Team Canada win gold at the 2018 Hlinka Gretzky Cup in Edmonton this past summer. 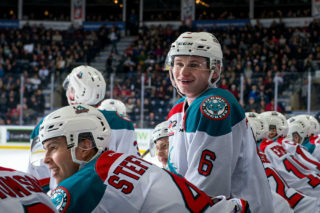 Kyle Topping is Kelowna’s leading scorer with 47 points (17G, 30A). The Salt Spring Island product was drafted by the Rockets during the 11th round at the 2014 WHL Bantam Draft. 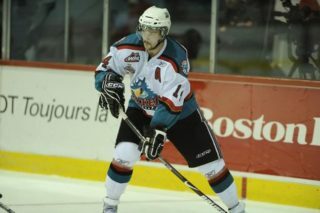 Kelowna product, Alex Swetlikoff joined the Rockets following the Christmas break. 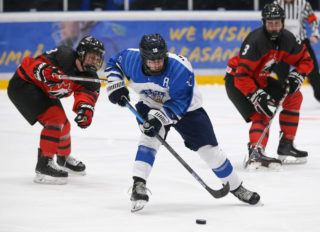 The 6’2, 179 pound forward recently suited up for Canada West at the World Junior A Challenge in Bonnyville, Alberta where he helped his team take home bronze. Roman Basran battled back after a torn ACL in his knee derailed his rookie season last January, it required surgery and six months of rehab. His record is 13-13-1-0 this season. 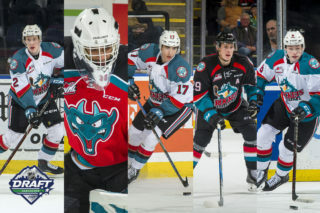 Thomson, Foote and Korczak will compete in the 2019 Sherwin-Williams CHL/NHL Top Prospects Game this Wednesday in Red Deer Alberta. The 2019 NHL Draft will be held June 21-22 at Rogers Arena in Vancouver, BC.